Hi, just looking to buy a set of horse training videos for my wife for Christmas. She is an advanced rider, equine Canada instructor of beginour. Presently bought a colt, which will be her first one she has ever raised and broke. Just looking for some good videos to help her out. She specializes in reining, barrel and cows. Thank you! Last edited by loosie; 12-11-2018 at 10:36 PM. Reason: punctuation. Many are fans of Clinton Anderson, Pat Parelli, Monty Robets, Miss Wyrn, or Stacy Westfall. It depends on what you are looking for. Different people - different "styles" of horse training. They have videos on YouTube so you/she can get a feel for their training style. As an advanced rider, she probably has formed some opinions about which trainers' methods she likes and which she doesn't. I would start my research on her book shelf, because if you buy blindly, you may spend a lot of money for not a lot of joy. Having said that, Clinton Anderson has a "Colt Starting" DVD series. loosie, bsms, JoBlueQuarter and 1 others like this. I would NOT suggest CA for 'colt starting' in a pink fit personally. Not unless you like to create 'robotic' horses. ...Which emphasises my agreement with the first bit you said mm. It is such an individual thing Colsuther... Perhaps something inspirational rather than instructional, such as Frederic Pignon's or some such. kewpalace, JoBlueQuarter and AndalusianRobyn like this. This is not so much a how to video but the “The First Week” by Bryan Neubert is a great example of real world colt starting & demonstrates several different horses being started under saddle. 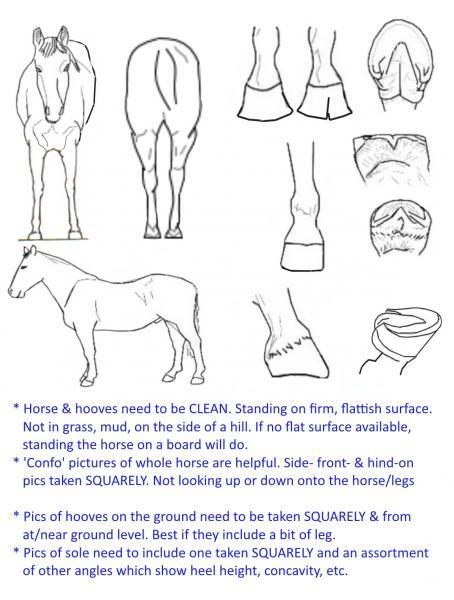 This is the closest documentation I have seen that shows how working trainers start horses under saddle. There is no BS or gimmicks, just good experienced trainers starting colts. I would stay away from the TV clinicians. Not all, but most draw out the training process to sell their overpriced signature gear and additional DVD’s. loosie, tinyliny, kewpalace and 1 others like this. yes, for an advanced rider, the tv clinicians might not be the best choice. I would look for a rider or trainer who does barrels, or reining, and maybe some of his/her videos? The truth is, the very best trainers don't do self videos. they work mostly one on one, or in small clinics. they are mostly known by word of mouth. Maybe buy her a really pretty foal size halter and lead? I don't know if you can get dvd rentals from giddyupflix.com where you are at, but if so, you might think of a subscription to it instead. That way your wife could choose what DVDs to watch from different trainers that interest her before you buy anything. COWCHICK77, bsms and Hackamore like this. I don't think I even still HAVE a functioning dvd player! I only watch streaming . I like the Giddyup flix idea that way she can choose. If that doesnt work for you than anything reined cow horse related is a good way to go. The basics for a good cow horse translates well to making a barrel horse not so much the other way around. Maybe try Al Dunning, Ted Robinson, Bob Avila, Sandy Collier. tinyliny, bsms and kewpalace like this. Another idea - Richard Winters is getting rid of his inventory, which includes DVDs. You can check out his website (wintersranch.com) & give them a call as to what’s still available.